Dwight is thankful to be able to say that he was raised in a loving and warm Christian home, literally in the shadows of Highland Park Baptist Church and under the pastorate of Dr. Lee Roberson. He attended Tennessee Temple from kindergarten through college where God called him into the ministry. 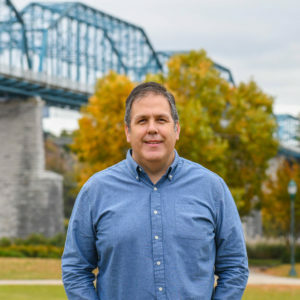 He was on staff at Calvary Baptist Red Bank in Chattanooga, Tn from 1995 to 2018, serving as Youth Pastor, Assistant Pastor and then Senior Pastor. Dwight is excited to join the SCORE team as Director of Discipleship and Church Planting. Dwight and his wife, Kelly, met in high school at Tennessee Temple and were married May 7, 1994. They have been blessed with three awesome children: Abby, Noah, and Emma.